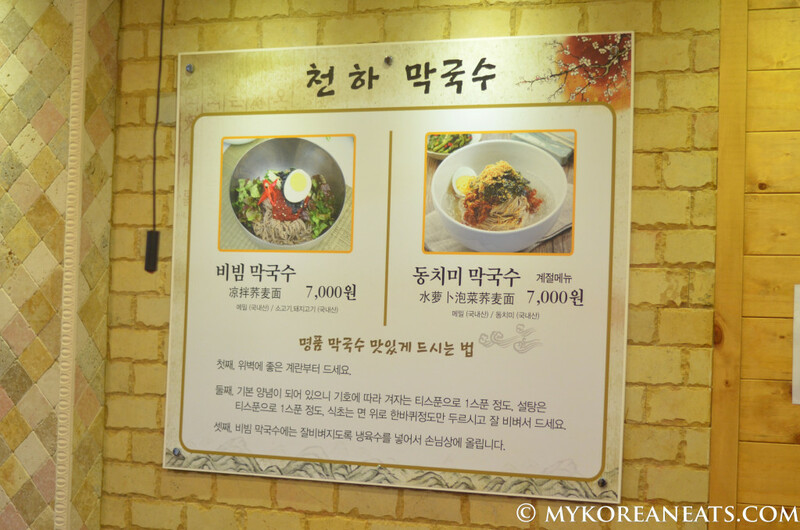 The owners are native Chuncheon residents who honed their craft for 3 years before making the big move to Jeju Island. 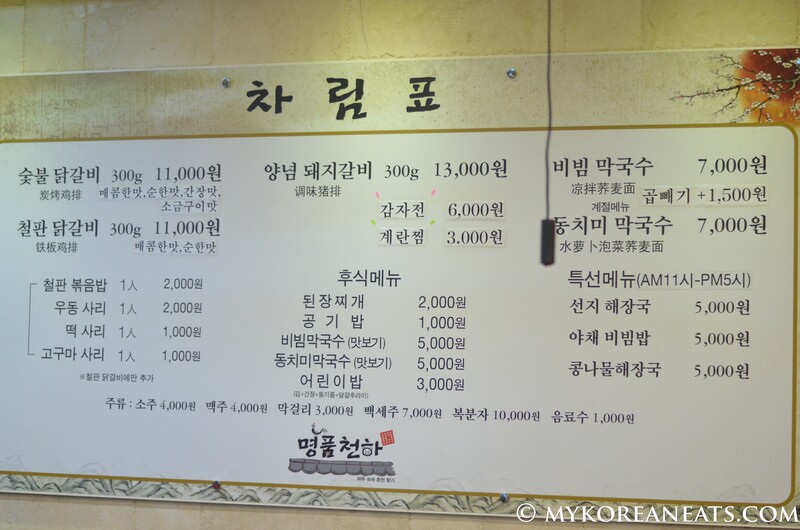 All chickens are sourced from Chuncheon with the owner’s mother-in-law prepping (손질) all the chicken before being sent over from the mainland. The chicken are “fresh,” meaning they do not use frozen chicken. 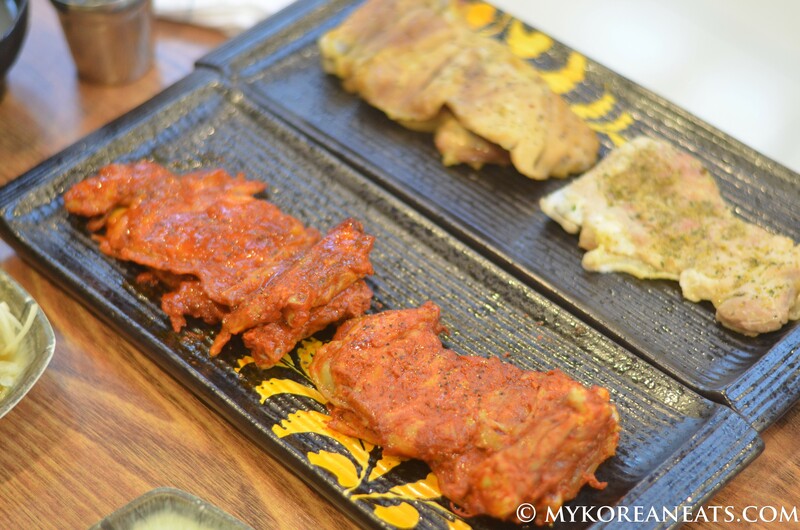 All sauces are made in-house with new sauces being continuously improved and developed (개발). All ingredients and inventory are domestic products. Here, you will find no cheese whatsoever, which is a very good thing. 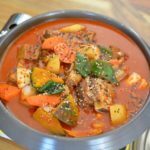 Dak Galbi 101: This popular dish is prepared by marinating chunks of chicken in a gochujang-based sauce (spicy red pepper paste) with other seasonings overnight. 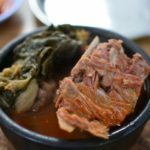 Common ingredients include a mix of cabbage, green onions, perilla leaves, sweet potatoes, and rice cakes, where they’re added to a large cast iron griddle. 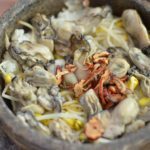 The mixture is then typically stir-fried at the table right in front of you and it’s shared with everyone. 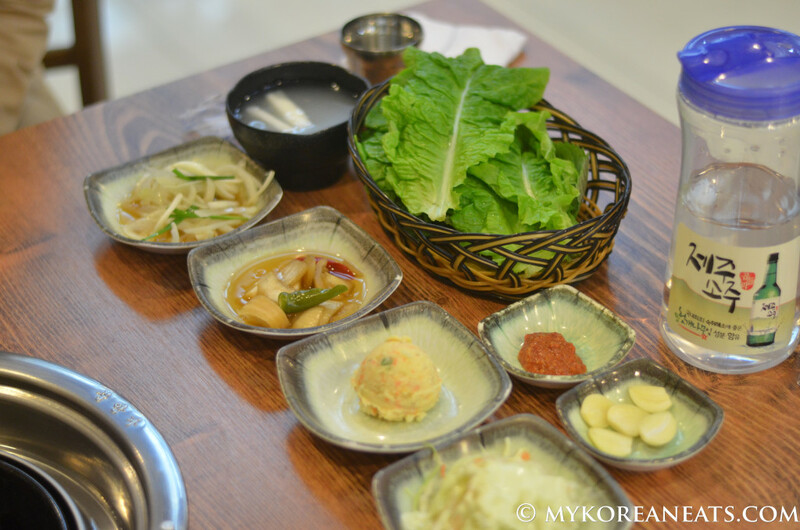 Dak galbi can be enjoyed on its own or wrapped in lettuce leaves for a fresh, crunchy taste. 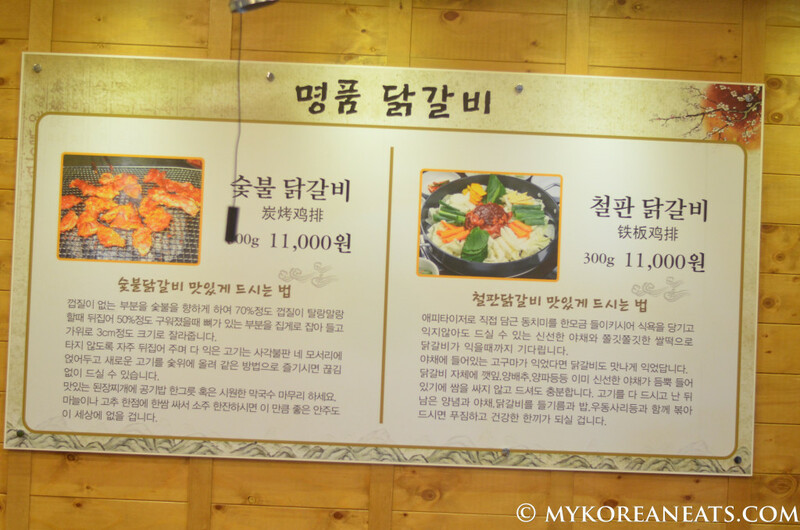 After most of the dak galbi has been eaten, rice and seasonings are then stir-fried with the remaining sauce in the pan to make bokkeumbap (fried rice). 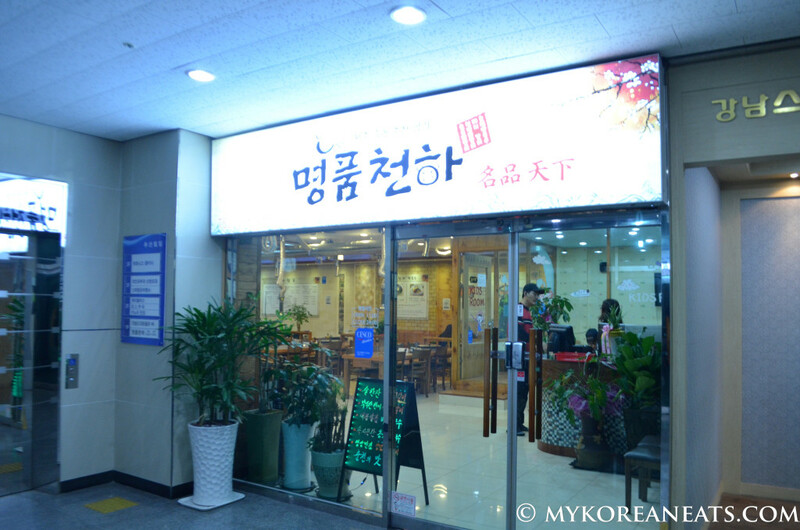 You’ll find many dak galbi restaurants concentrated near university campuses as it’s a popular dish among university students who are on a tight budget and need a good source of sustenance. 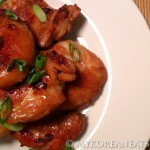 A nice variety and range of banchan side dishes. 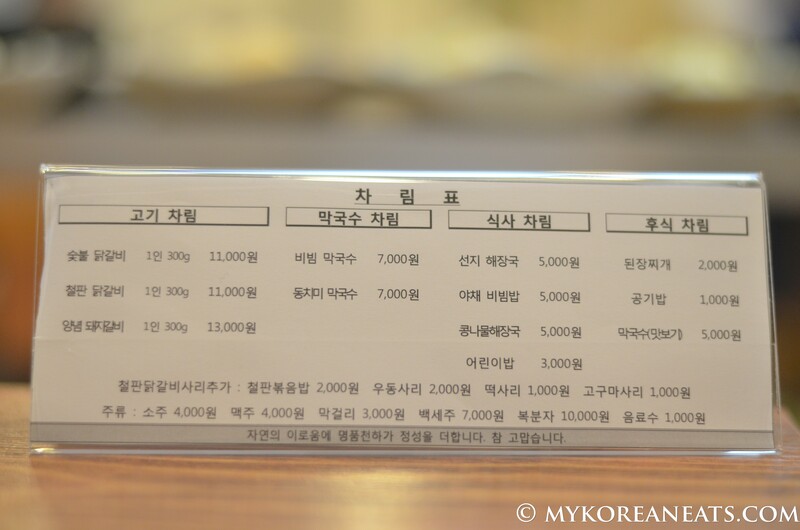 As with all Korean BBQ, plenty of banchan and lettuce leaf varieties to choose from. 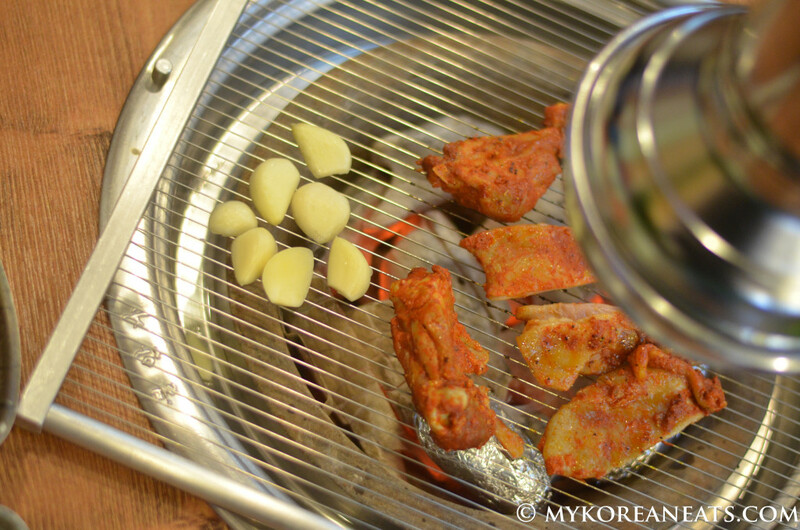 The original Chuncheon-style dak galbi cooked over charcoals. 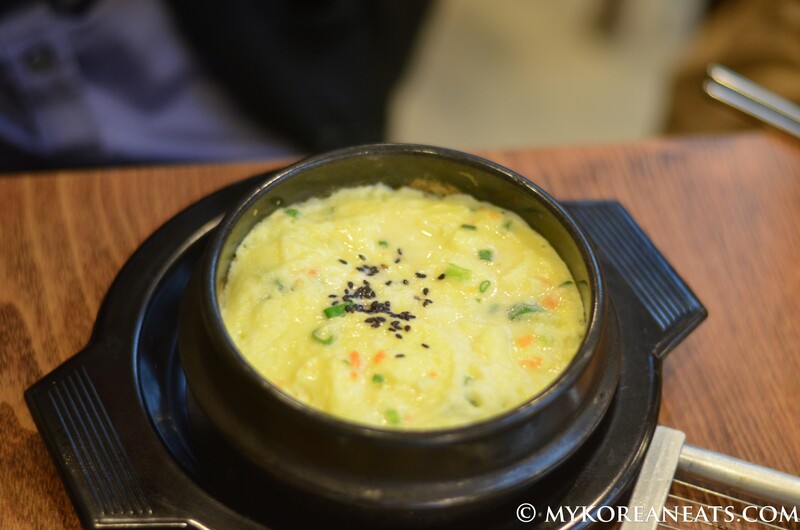 Gaeran Jjim (steamed eggs) that were creamier than you could ever imagine. They place some sweet potatoes in the fire pit to cook during your meal. 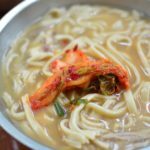 Once finished, they serve as a nice post-meal dessert. Super sweet n yummy! 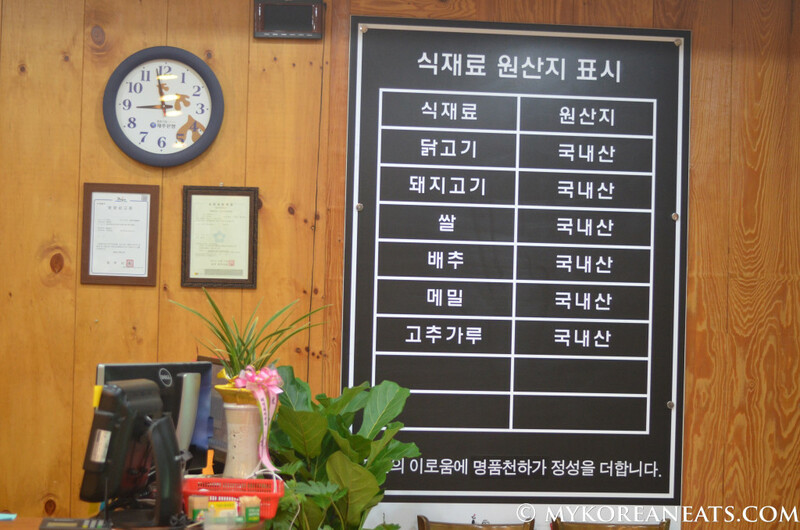 All ingredients and produce are Korean with the chicken coming straight from Chuncheon.